Reduce fatigue and increase your speed with this battery-operated, gear-driven cable cutter. Cuts copper, aluminum and ACSR cable quickly and efficiently. The open-jaw style is great when working in tight spaces. Powered by a DeWALT 20V lithium-ion battery, this tool features two working lights to illuminate darker spaces. Batteries, a charger and bag are included along with the tool and cutting jaw. 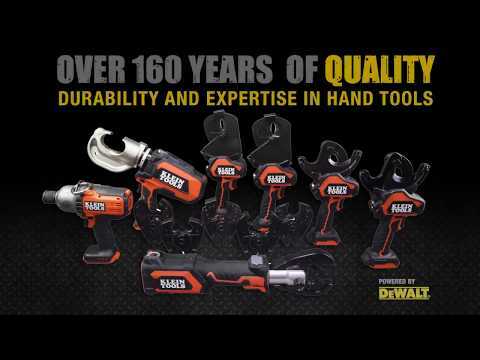 Experience the quality, durable cutting you expect from Klein Tools.